Pete: Pivot Switchblade is my weapon of choice. I chose this bike because it’s the do all bike for me. I can ride it anywhere from cross country trails to downhill mtb parks. This bike just makes me smile & have fun. Pedal Montclair: Favorite place to ride? Why? 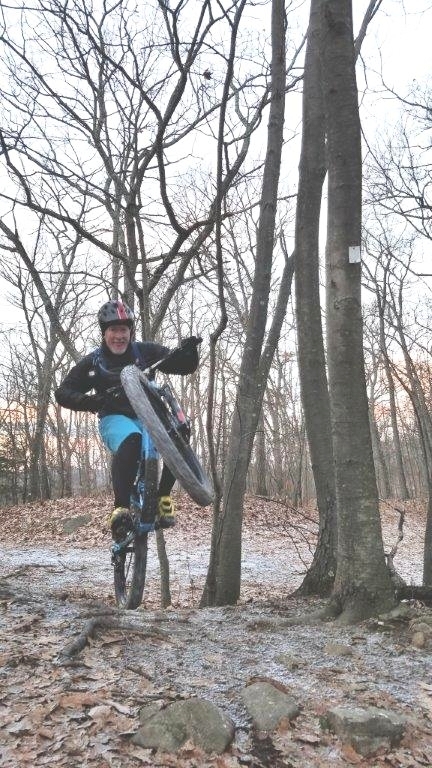 Pete: Tough to pick a favorite because there are so many great places to ride in New Jersey. I would have to say Ringwood is my top choice but Wawayanda is a close second. Between these two parks you can ride for days without doing the same loop twice. Pete: As a young man I once was told "Head West!" So naturally I would go to Colorado or Utah. There are so many options between these two states - Crested Butte, Salida & Fruita in CO and Moab, St George & Park City in UT. Pete: Ride as much as time allows. Go to your local bike shop to get a proper bike fit. While at the shop ask about group rides and helping out with trail maintenance. Pete: I don`t have just one. I`m very fortunate over the years I`ve made many friends due to this great sport. I would say my favorite riders are the people I've ridden with in the past & future.